HomeBlogHearing AidsHear! Hear! Here Come The Holidays! Some tips on helping hearing-impaired family members celebrate. The holidays bring with them wonderful opportunities to visit with family. If you’ll be getting together with family members who suffer from hearing loss, we’ve put together some ideas for you on how to best help them enjoy the season. Gather everyone in a place that offers privacy, comfort and a minimum of background noise. When speaking with a hearing impaired relative, speak clearly and make sure he or she can see your face. Watching you shape words can be very helpful and allow for lip-reading if necessary. Hearing loss sufferers may turn down invitations because they don’t like dealing with the frustration of trying to hear in a group. Don’t let a family member become recluse just because of an untreated hearing problem. Keeping hearing-impaired family members engaged during the holidays isn’t just about making them feel included. 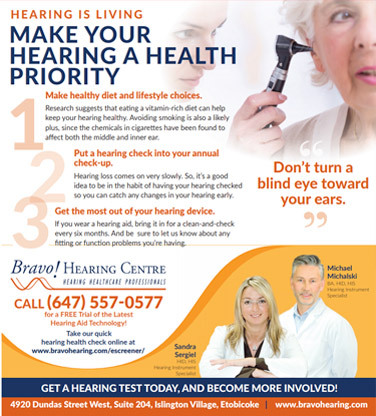 By putting them in challenging hearing situations, and standing by to help with those challenges, you could play a role in getting someone to realize the benefit of having their hearing loss treated. Even someone with very obvious hearing loss can be in denial about it, because they fear the stigma of a hearing aid. Encourage your hearing-impaired family member to explore the latest advances in hearing technology. There are actually hearing aids NOBODY can see.